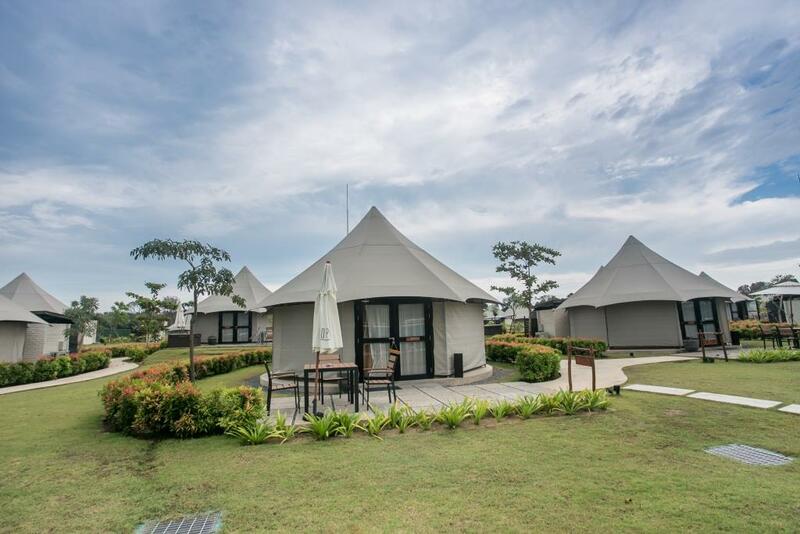 Located in a large compound (2-hectare resort with 338 hectare of adventure space of mangrove river and crystal lagoon), The Canopi is the ultimate nature getaway from the busy metropolitan life of Singapore. 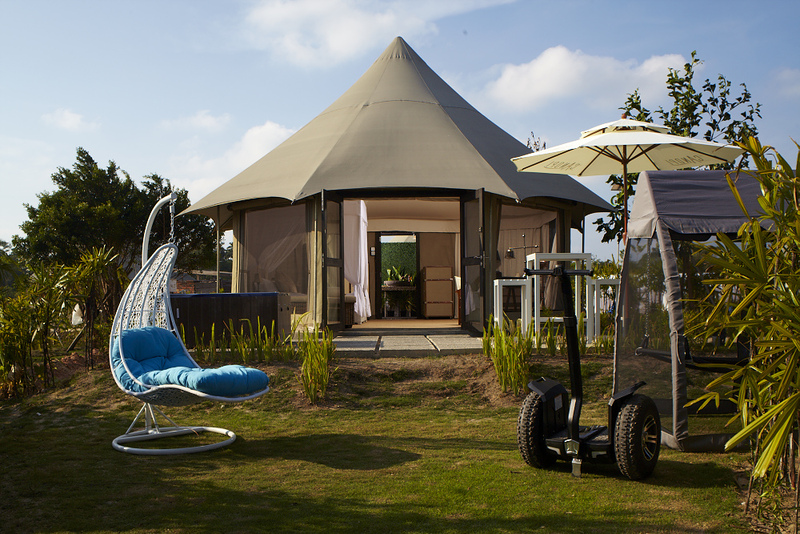 Surrounded by natural greenery, its unique accommodations are 41 Tent-suites. 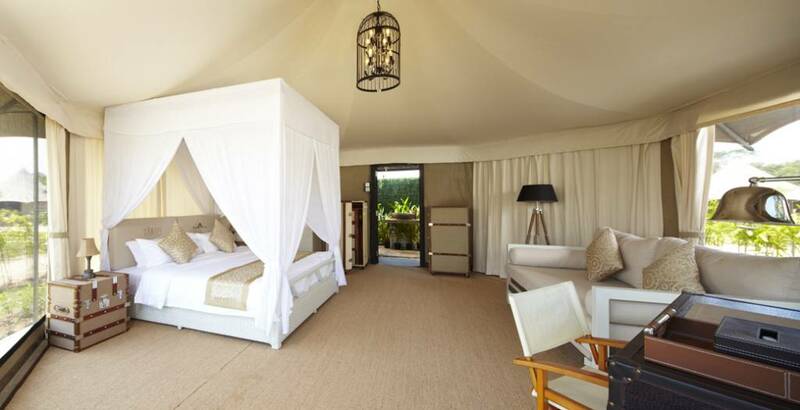 Don't be fooled though as each Tent-suite is a huge 400sq feet with air-conditioning, 4-poster beds, LCD televisions, outdoor hot tubs, BBQ Pits, sisal carpets, private garden, a hammock and Wi-Fi. What more can you ask for?! 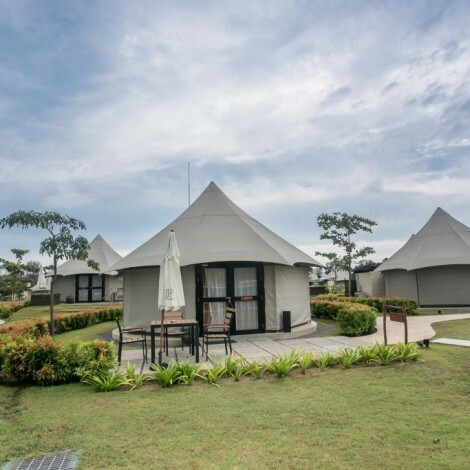 For a new, unique apartment-style 4-star holiday resort under the Banyan Tree Group, check out the Cassia Bintan on our sister site BintanGetaway.com. 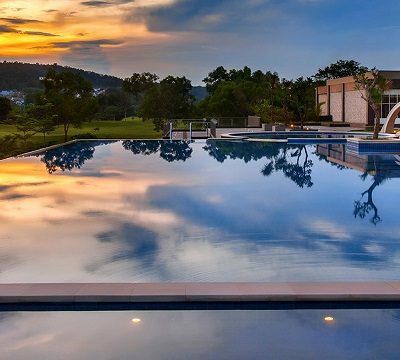 You might also want to check out the new Holiday Villa Bintan that comes with private-pool villas. Check in and collect boarding pass at Bintan Resort Ferries, #01-21, Check-in counter at least 60 minutes before departure time. Upon arrival at Bandar Bentan Telani Ferry Terminal and after immigration and customs, you will proceed for the bonus activity (60-mins massage in town /or/ mangrove tour). 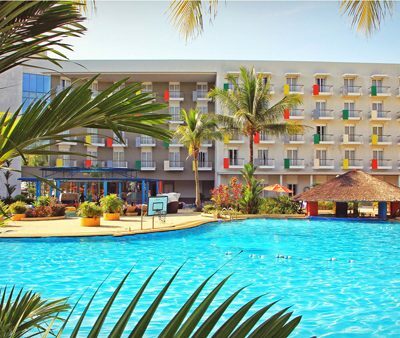 After activity is done, you will then be transferred to the resort for Check-in. Free at leisure for the rest of the day. After breakfast, free at leisure for the rest of the day. Transfer to Bandar Bentan Telani Ferry Terminal for ferry back to Singapore. 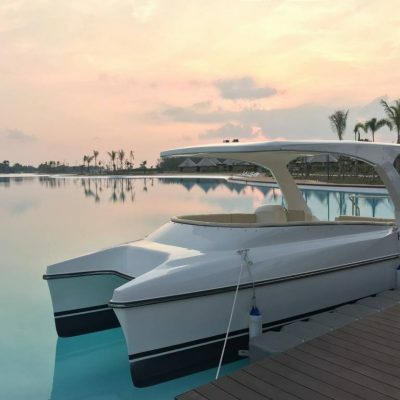 - Should try their crystal lagoon, you may do water sports/swim or even take a ferry across the lagoon. Booked through Lokopoko, the travel consultant that assisted me was a guy, however I forget his name but he was professional throughout the booking process, definitely recommended. He was very knowledgeable and very prompt in his replies. The resort itself has a unique concept. 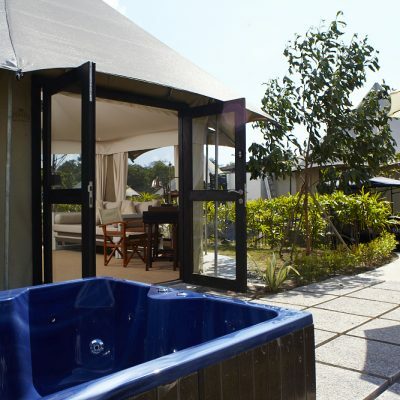 The huge tent like rooms are equipped with air-con. The bed they provided is king size bed and is very comfortable. One feature that stand out is the toilet which is of open concept. 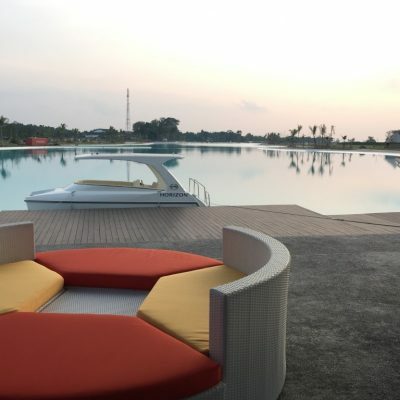 The resort too boast a huge lagoon for swimming/water sports which is within resort compound. Another good tip is that there is a food centre that is about an estimate 15 minutes walk which provide wonderful selection of indonesian food which is definitely cost friendly compare to the ones in the resort itself. Nearby the food centre, there are options for Spa & massages as well for those looking to pamper themselves for lesser price without comprising the quality. Very good & new resort. Quite difficult to book date taht I want. All weekends seem to be always full. Good to try this stay. Easy step to make bookings. Friendly staff and very efficient. Nice resort to relaxing ur weekend or holiday. 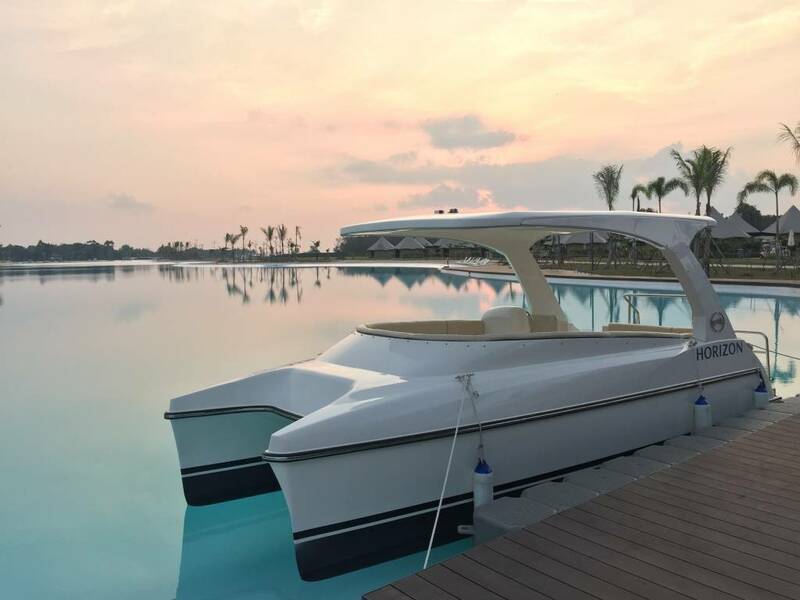 Resort got itself lagoon threasure bay and water sport activity. The staff are very friendly and approachable as well as very very friendly. 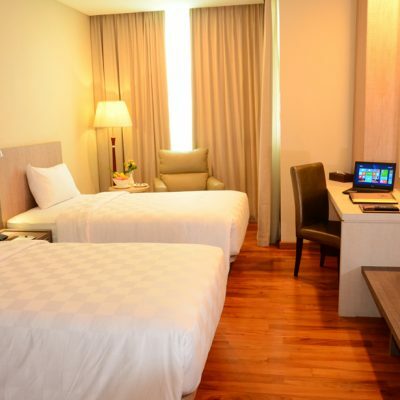 The room is spacious and very comfortable. There is no fridge so no cold drinks cant be kept. The atv ride is very enjoyable, especially the track through the forest and the slalom track. The scooters could be faster, especially those that visitors want to rent to visit the nearby marketplace or spas. 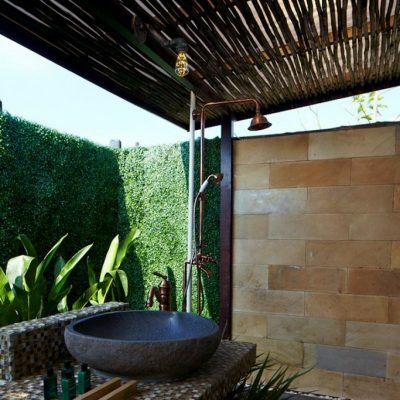 Overall, a very enjoyable experience and peaceful atmosphere to relax in. It's an amazing hotel experience. Very unique. But the problem is very hard to book for the weekends. Managed to only stay on the weekdays and have to make special arrangement for it. Still totally worth it. Will surely come again with my friends next round. Booked via Lokopoko instead of groupon, we got a good deal with free massage & boat ride at Canopi. Customer service officer is very responsive except one officer told us that no more lagoon view tent and asked us to book jagucci tent. However we proceed to book what we want in their website since it is allowed us to do so. 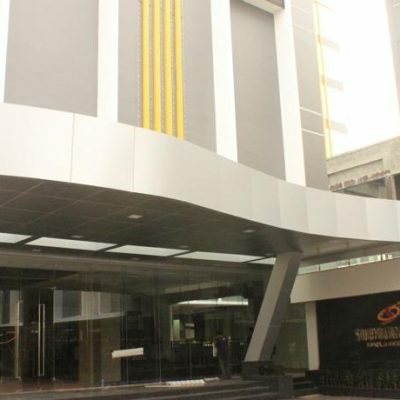 Overall, the service is good and we love Canopi! I would like to say thank you so much for the amazing service that you and lokopoko had renderred. I have never been so satisfied taking a trip package with an agency before except for yours. My hubby and I really enjoyed the trip. 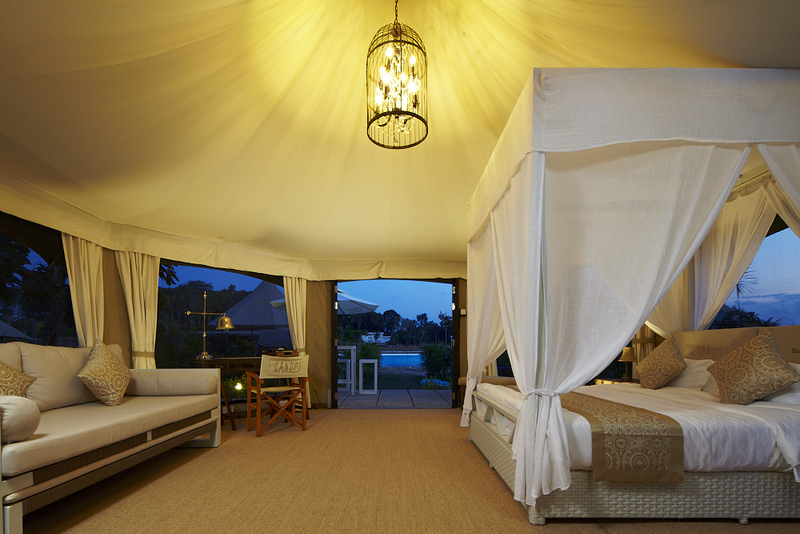 We would not know about this fantastic resort (the Canopi) if its not because of you/Groupon. It was a smooth travel from the minute we stepped on tanah merah ferry terminal till we came back. Especially knowing that we had booked for ourself other hotel but still the journey was a smooth one throughout. Once again thank you Rochelle and Lokopoko for your great service. I will highlly recommend this to my families and friends. 1. Great view and great place to stay. I love the design and layout of the room, unique stay definitely. 2. Wide range of activities available for all ages. Young children can play in the pool, older kids and adults can enjoy the paid activities there. 3. Staff here are very friendly and willing to help. I played UTV and kayaking, the guides are super friendly and experience. They will help to take photo during the activities, even drives us back to our canopy after the activities. 4. Food a bit ex, can be better. 1. When it is raining, you can't do anything at all. No other indoor activities for you. No sheltered walkway to reception and breakfast area. 2. 30% of the paid activities can be expensive depends on what you chose. The other 70% I would say value for money. Very unique camp style stay. 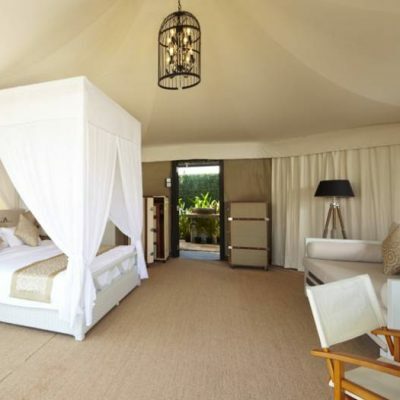 Big tent with big king size bed. Don't really like the feel of the room floor but it's still fine. 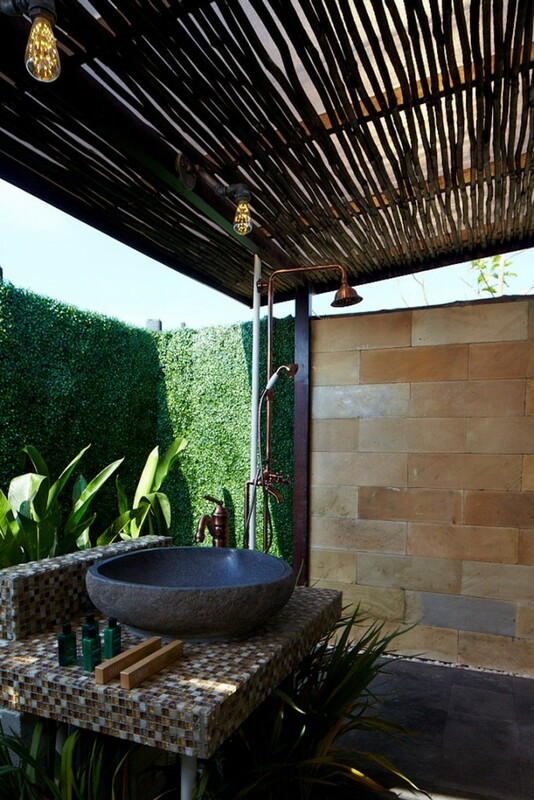 Love the outdoor shower, very new experience for our family members. 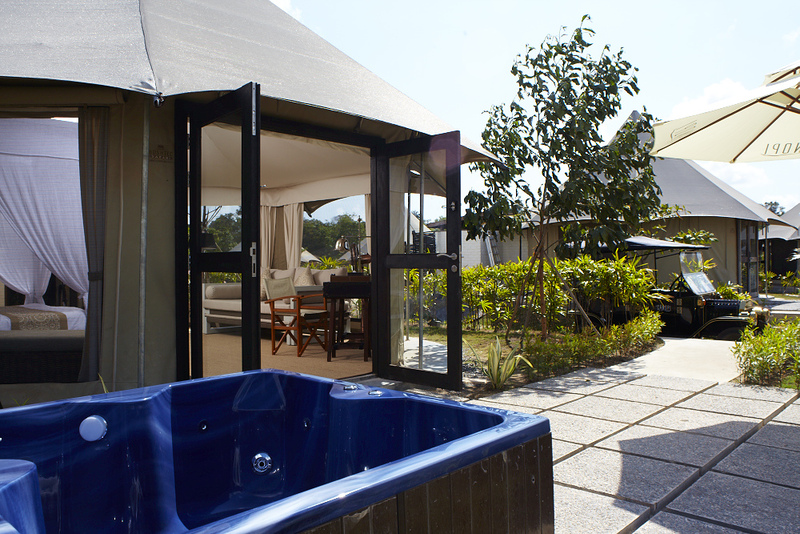 Go either for the jacuzzi or safari suite. Lagoon view only for the view you pay more than safari tent. Many activities to do, my children like the electric ATV. Many water games in the crystal lagoon. Good experience and value for this short getaway price. It was a pleasant transaction with Rochelle. She was accommodative and responded to me very fast. Eventhough i was very doubtful at first but upon checking in at ferry terminal, it was very smooth and i can enjoy my trip peacefully. I can also do my activities at my own pace and it was a relaxing place to clear your mind. lokopoko did a great job in getting a room for me and my wife last weekend even though availability during weekend is so hard to get!! it was to celebrate our 5th year anniversary and am really thankful for them to get me a room. crystal lagoon is huge! almost the size of 3 soccer fields! we spend majority of the time nua-ing in the room as the ambience itself is worth the while. we took up the vespa rental that the resort offers and head to the nearest town for dinner, after being recommended by lokopoko. will definitely be back! This is the 2nd time I have book this trip with Lokopoko. Melanie has even made this booking effortlessly easy for me. My family especially my 2 young kids enjoyed so much that we are thinking to extend the trip but too bad it was fully taken up when we enquire. Definitely will recommend this to my friends and relatives. Thumbs up. Thank you. I really liked this package as it was very well planned. 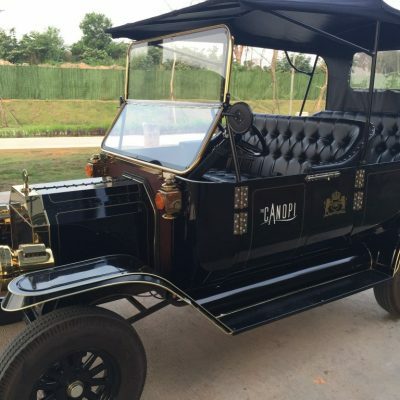 I didn't have to wait very Long for the pick up from my massage place to the canopi. They were on time. Canopi staffs and d Bintan spa staffs were very friendly and welcoming. I will definitely book another trip to canopi with the same package and travel agency. Thank you for being very prompt. Very good service from the agency to complete my booking, fast and fuss free. Love the resort and everything went smoothly from the collection of ferry tickets until we reach back home! 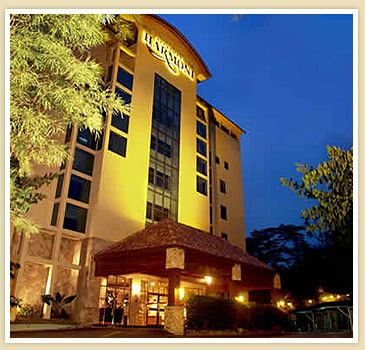 This is my first time booking through Lokopoko, and their service is efficient and reliable. Thank you Rochelle for detailed arrangement for my trip. The canopi is a good choice for a short getaway with its man made swimming which did not disappoint. We were warmly welcome by the canopi staffs. Any enquiry during the stay can be asked through whatsapp, They are pretty responsive. As for places to eat, there are a few dining places within the resort but the prices are slightly pricey. Overall, the canopi makes a great place to chill. amazing place, the kids really enjoy the stay. crystal lagoon is however man-made n huge! 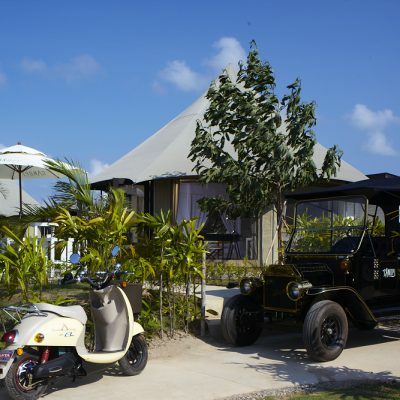 do consider doing up a package which includes activities such as ATV, ELECTRIC SCOOTER rental as those 2 are the popular activities which are always fully booked! thanks a mill! super nice resort concept. i was introduced by my friends to visit canopi. it was worth the money. my wife and myself really enjoy our stay. crystal lagoon/swimming pool was really huge! went with birthday arrangements in the tent, even though it was chargeable, canopi went to decorate it nicely and professionally, my wife was happy with the arrangements two thumbs up from us! Booked it through Groupon but upgraded my room to lagoon suite but a bit regret to do so because you have actually nothing much difference on the view, may try jacuzzi suite next time. It was a very different experience, staying in a big tent, taking shower in open concept bathroom with all plants in front of you, can still hear people talking outside! Cool & unique! But will propably need to include some indoor activities or night activities. 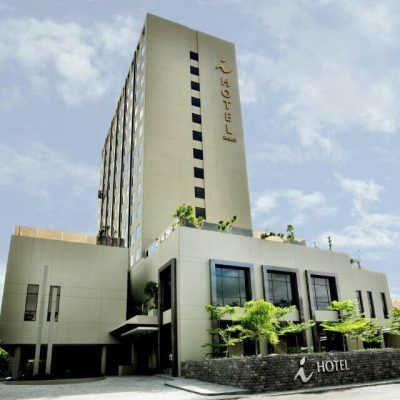 Recommend for one night stay not two. Night time can only spend time at the bar or sitting around the room area, nothing much to do is more on relax and resting yourself there. Overall it was a great experience! lovely resort. thank you syafiq for the birthday arrangement. there were no rooms available at first but he helped with a superb service. recommended to rent a scooter and ride to the nearest hawker center which is only 10 mins ride. they sell local food and cheap minimart to get some snacks and drinks. Purrrfect getaway!!!! The place was so nice. 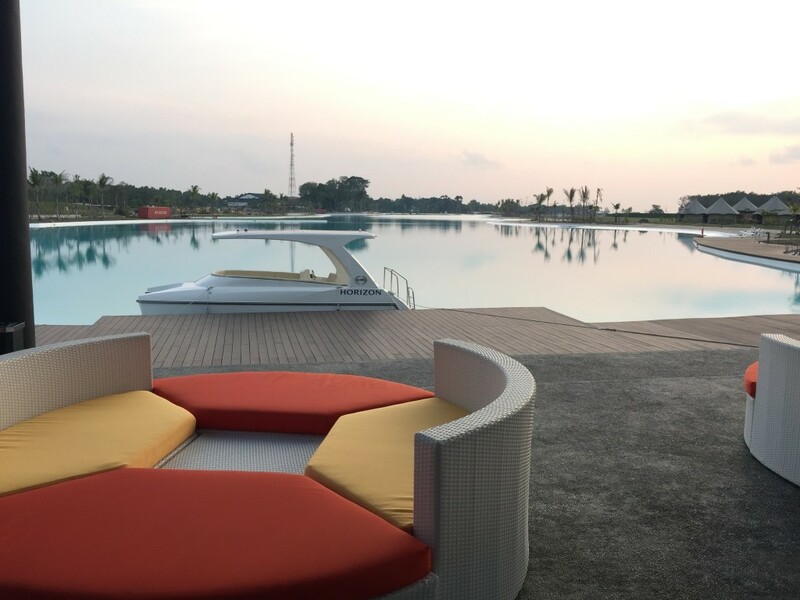 Was with my partner last weekend, I am very impressed with the layout & concept of the resort. 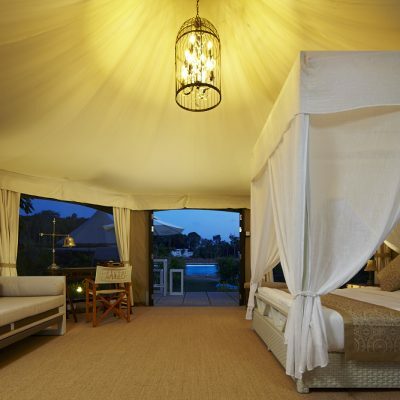 Will try the lagoon view tent the next time i visit! Recommended by one of the officers at Lokopoko. 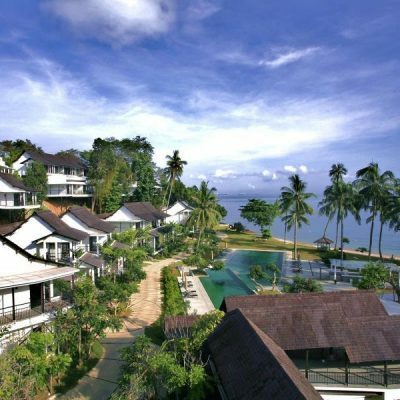 Initially my family and myself wanted to stay at Bintan Lagoon but decided Canopi. Never regretted. Really beautiful place to stay at. We all love the crystal lagoon! remind me of my honeymoon days with my hubby at Maldives.. It was a hassle free booking. Rochelle, our travel assistant gave speedy replies and assisted us on everything we needed. The Canopi Resort is a great place to rest and have fun at the same time. The staffs are polite and always ready to assist in all your needs. The water activities are awesome. You can do a lot of things while staying in the resort. The room we stayed in took us to a new level of glamping. It was unique and comfortable. There is a wifi coverage inside the whole resort. Since they dont have inside room phone, they communicate via watsapp to attend to all the needs of it's guest. Which Is i think more efficient. Save the hassle dialing and no ones picking up the phone for room service. Thanks Lokopoko! Looking forward on dealing with you again soon! Booked through lokopoko and the staff were nice and patient in handling all my enquiries. 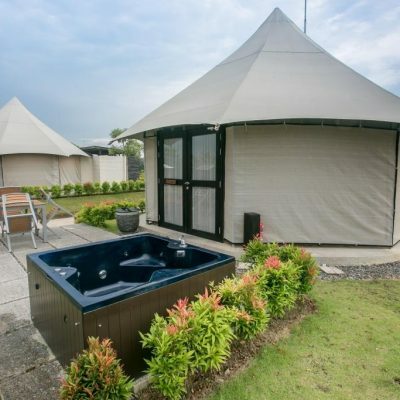 Booked a Safari Tent but got downgraded to Garden Tent. Lokopoko gave a partial refund for this, it was $5 per person per night for the refund. Was initially abit disappointed that I got downgraded but upon checking in, I was very much thankful for this. Garden Tent was infact one of the newer rooms, it was only open last month, whereas the other room types was at least a year + old, thus getting a new room is always so much better. Check in was a breeze, only got my room at 3pm though. Canopi reception will actually whatsapp you (yes entire Canopi is wired with WiFi) which is a plus point for all those tech savvy people. 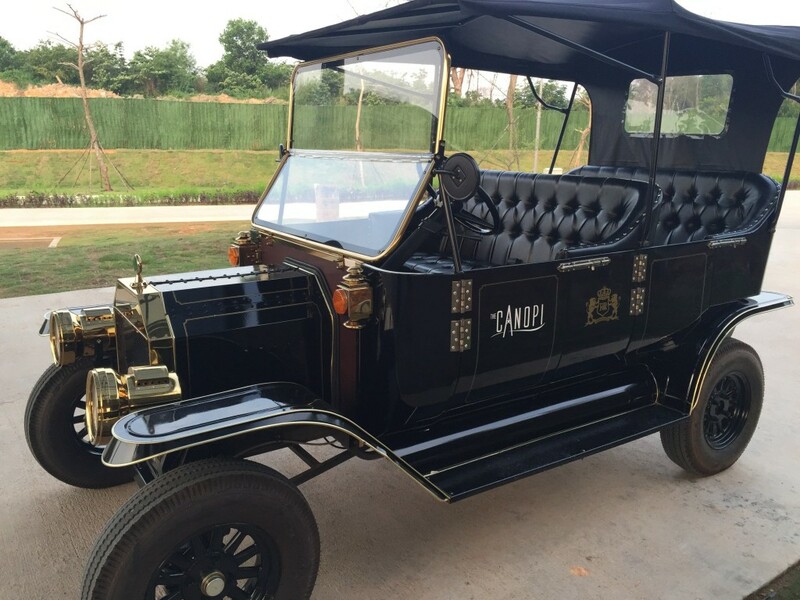 From Canopi to Treasure Bay (where you can book activites and eat cheap food) is at least 15 minutes walk, but if you are a guest at Canopi, you can get resort to arrange free transfer by buggy. Breakfast was simple nothing extravagant. 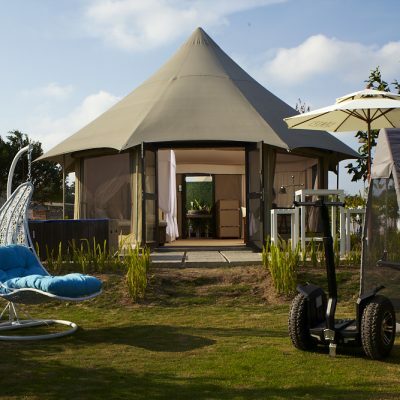 Room was huge, Garden tent is at least 5 minutes walk to the crystal lagoon and 10 minutes walk to reception but then again, you can call reception by dialing 2001. for them to pick you up from your tent via buggy. Staff spoke good english, plenty of water/land sport activities you can choose. Weekend is definitely crowded, crystal lagoon is open to public, thus you can expect more locals to use the crystal lagoon, however there are some areas in the resort which is out of bounds to public. If you prefer some quiet time, do come during the weekdays. Staying 1 night is not enough to cover the whole resort. Wanted to rent the scooter and explore the resort but didn't have the time. Wanted to try the ATV ride but due to cloudy weather, service was halted. Tried the spa and massage called "NIBBANA SPA" at treasure bay entrance, it was cheaper than getting the one from Canopi Resort directly. Nibbana was more worth it especially in terms of quality (since I tried both during my stay). If you fancy eating seafood, do inform receptionist to arrange free land transfer to kelong for "MANGROVE KELONG SEAFOOD", prices was slightly cheaper than Singapore's, compare to Batam, slightly more expensive, but taste wise, very good and fresh! You are even required to take a motorised sampan (boat) to reach the kelong, really good experience. To conclude, Good for family with younger children, definitely plus plus! Will be back! Very nice resort. 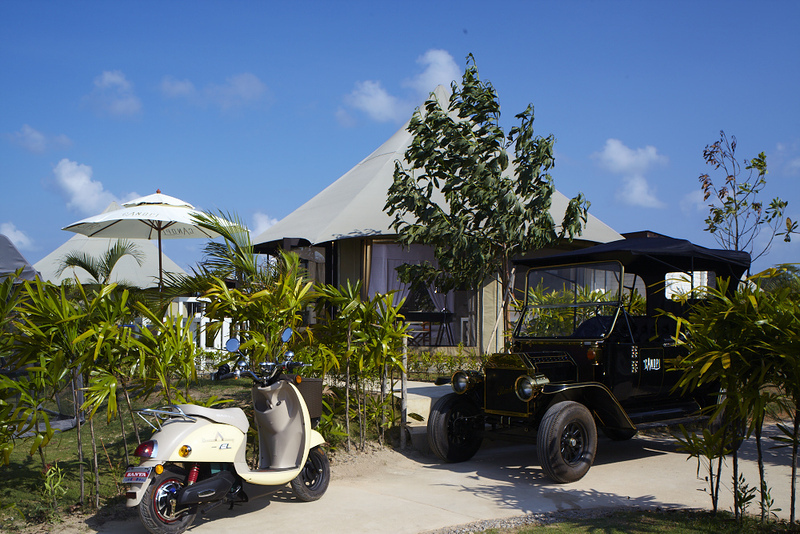 We stayed at a Garden Tent, which is further away from the lagoon, reception and restaurants but there are complimentary buggy rides throughout the compound so it was easy to get around. 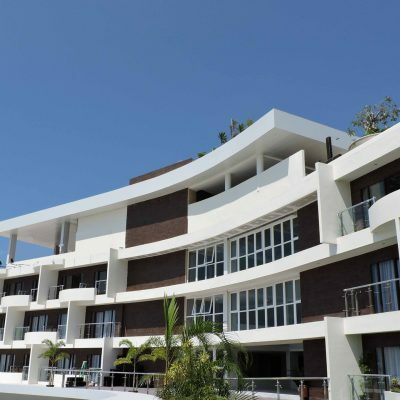 Staff at the resort are warm and friendly and the facilities are new, clean and well maintained. We also took the free shuttle bus to nearby Plaza Lagoi but there was not much to see there. We rented a mini scooter to ride around the resort and this was probably the most enjoyable part for my 3yo son. The mangrove tour that was part of the package was a nice experience too.